Recently, we have been seeing a quite a few videos on professional drivers disguised as a poor driver pranking unsuspecting passengers by giving them a ride of their life. 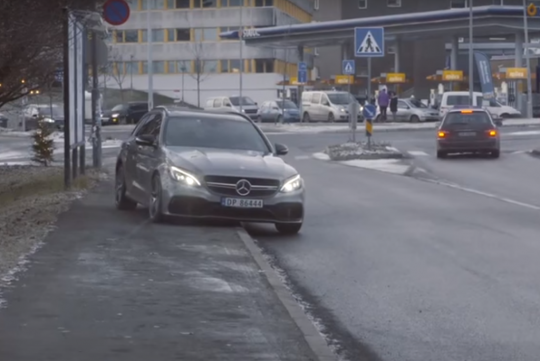 Now, dressed up as an 82-year old, 41-year old rally champion Petter Solberg was disguised as an average road user who felt that his car had something malfunctioning and called up some local Mercedes technicians to help diagnose the AMG C63 wagon. Watch the video and see what happens next..